On Friday, November 30, 2018 the Seabrook McDonalds closed their doors and the Golden Arches were removed. But don’t worry, McDonald’s will be returning to Seabrook! The famous burger chain has pulled city permits and will be building a new location at 2800 Bayport Blvd. This location is the site of the old CVS Pharmacy and we thrilled they will be returning to SH 146. At this time we do not have an estimated date of completion but will keep the community up to date as we receive information. It was a sad day for many in Seabrook as the iconic Tookies building was demolished prior to the Thanksgiving holiday. The green building had a unique charm and it is with a heavy heart that we had to see it go. Hubcap Grill is helping to fill our burger void and has been open now for a couple of months just off NASA Parkway next to the Valero and TASC building. 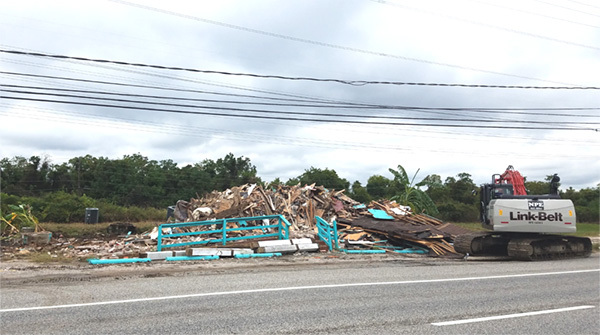 The demolition for previous restaurant Laredo’s Tex Mex has completed. The business owner is currently looking for new sites to relocate to in Seabrook. More detail will be given when made available. The utility lines seen today are in the existing footprint of the highway and all of these will be relocated into the newly acquired right-of-way making room for the new highway. Utility relocation is one of the first phases and will take approximately 12 to 18 months to complete. Utility relocation begins at the end of 2018 and highway construction will begin in 2019. You may be wondering what these concrete barriers are for in front of the Subway off 146 on the north side of town. TxDOT has begun the staging process for the project’s construction phase. Utility relocation will begin later this year and actual highway construction will begin in 2019. Another business is relocating soon, due to the Highway 146 expansion. Solutions Pest & Lawn, currently located at 2709 Bayport Blvd., is relocating to another location outside of Seabrook. More details about their last day of business will be announced when it is made available. We’re sad to announce yet another business has closed down here in Seabrook, due to the Highway 146 expansion. All American Automotive, previously located at 1413 Bayport Blvd., has moved to a new location. We thank them for their numerous years of service in Seabrook and wish them well on all their future endeavors. Congratulations to AutoZone! Previously located at 2650 Bayport Blvd., AutoZone has finished moving into their new location, here in Seabrook. They are now located next to the new CVS at Repsdorph Circle and open for business. Go check them out! 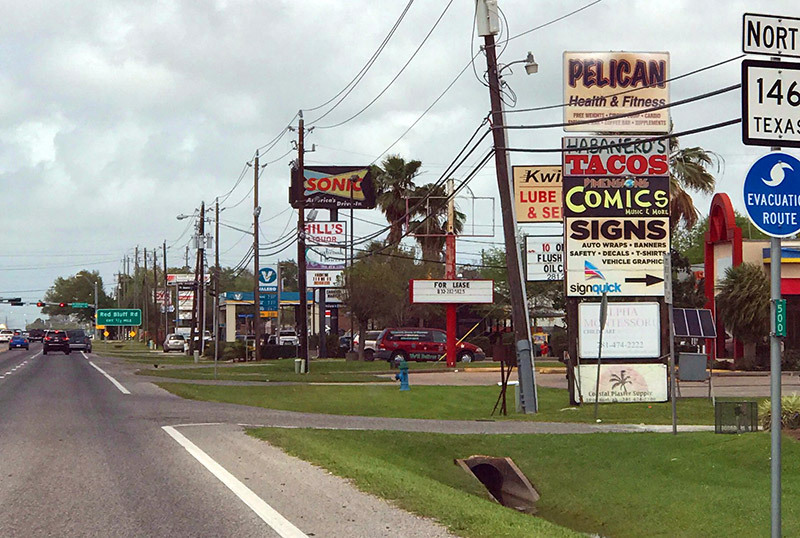 Angel Cuts, previously located at 1422 Bayport Blvd., is also one of the businesses affected by the State Highway 146 expansion. Although their old location is closed now, there’s some good news! They have decided to stay in Seabrook and have officially moved into their new location at Miramar Shopping Center, next to Burke’s Outlet.